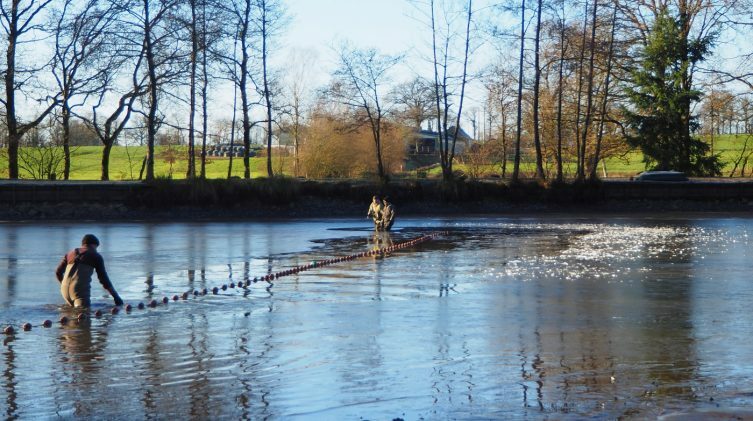 Looking back on 2018 and what makes fishing Beausoleil so exciting! As we are still a couple of months away from welcoming our first guests of the year to Beausoleil, I want to share some thoughts that stand out from 2018. 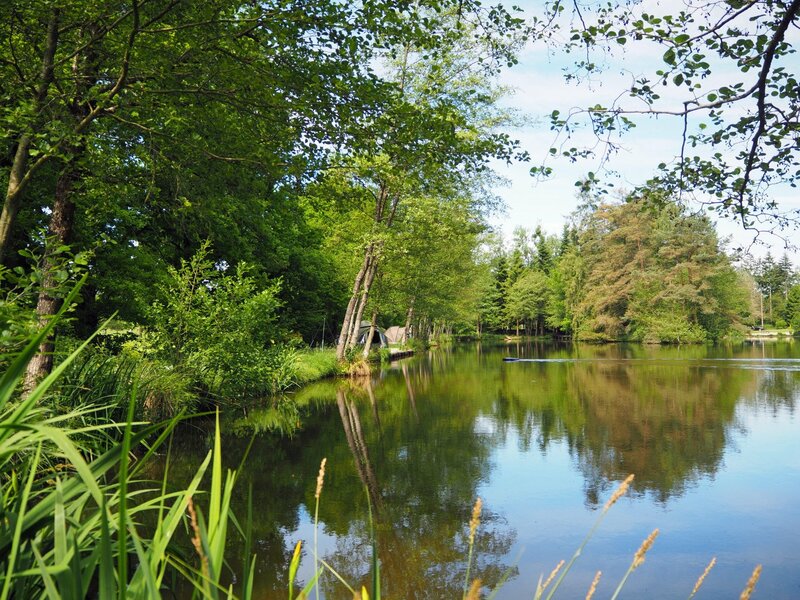 This is a lake where the carp and cats will test your skills and your gear to the max and where you have to work for each bite. I am still amazed at how much I learn year on year from this lake and last year was no exception. Here’s what I observed and learnt from our visitors which I hope will give food for thought for our guests this year. Like many estate lakes, Beausoleil is a spotty venue. The spots vary greatly in size from dinner plates to bivvies but location and accuracy in all aspects of your fishing are a massive edge. Thanks to careful investigation, many anglers found brand new spots this year, particularly in the shallows. For a story on successful spot finding, check this post. 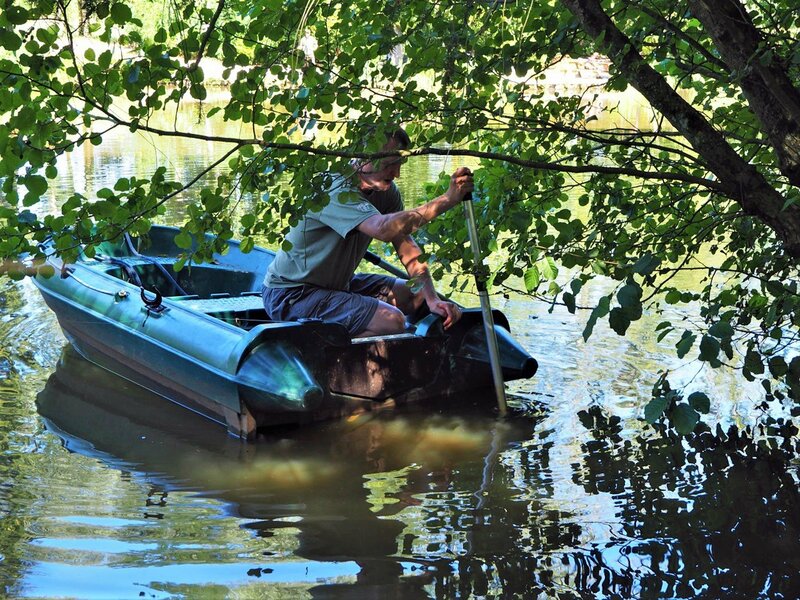 Many new visitors will never have had the chance to use a rowing boat in their fishing before but they continue to make a massive difference and now with two of them they are shared more easily between anglers. For this season, we’ve added a new Nash Prodding stick to the range of tools available to guests. This lightweight carbon stick is a big step up from the old yellow pruning pole and I’ve added a net float to each section so if you accidentally drop it, it won’t sink without trace! We’ve had plenty of reports from guests that experienced the mystical wandering lead phenomenon. I’ve had it myself a few times. You wind in in the morning ready for breakfast and then you realise that your lead is 10 or even 30m away from where you dropped it the night before! How did I not know about that??? The only logical explanation is that the carp had all your bait, took your lead for a walk and then dropped it, sometimes without even making one beep! Maybe you had a short flurry of beeps and thought nothing of it. Trust me, this is a sign that you’ve been done. And if you find your lead on the other side of the lake the following morning, that’s exactly what happened. For me, conventional semi fixed rigs are not good at converting bites into runs here. Yes, they work on some venues and I still use lead clips myself from time to time, but never at Beausoleil. My trick running lead system continues to be the best way I know of preventing this but even this isn’t 100%. As I’ve mentioned regularly in the catch reports, Beausoleil is rocky and quite savage in places and it will destroy hooks. For a lot of anglers visiting the venue for the first time, it’s quite a shock. At a venue where each bite counts, the slightest dink in the hook is enough to make a difference. 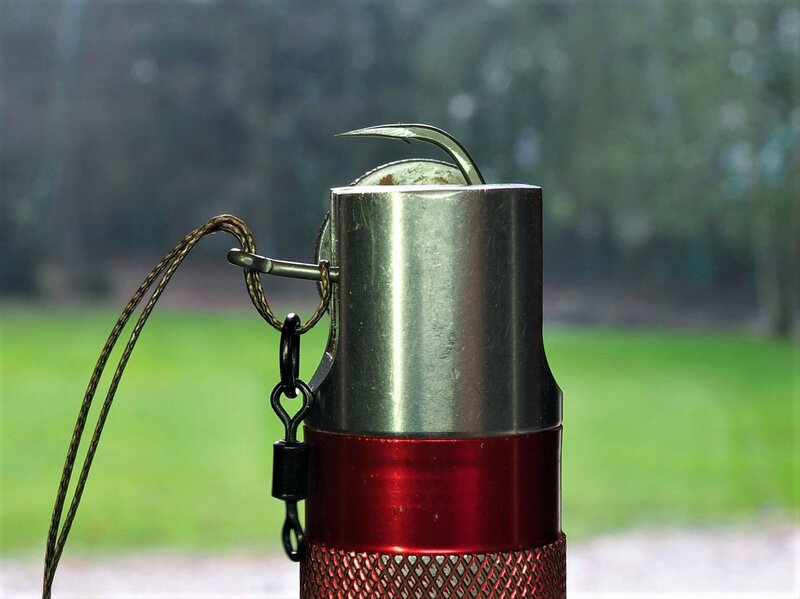 Meticulously inspect each hook point with a loupe (we provide one). Each pack of new hooks will contain one or two that are not good enough. If you’re familiar with hook sharpening, then sharpen the duff hooks. If you’re new to hook sharpening, change the hooks that are not good enough and keep them for another water. It’s quite common for our guests to go through 20 to 40 hooks in a week and that’s what made their catch rate consistent throughout the week. 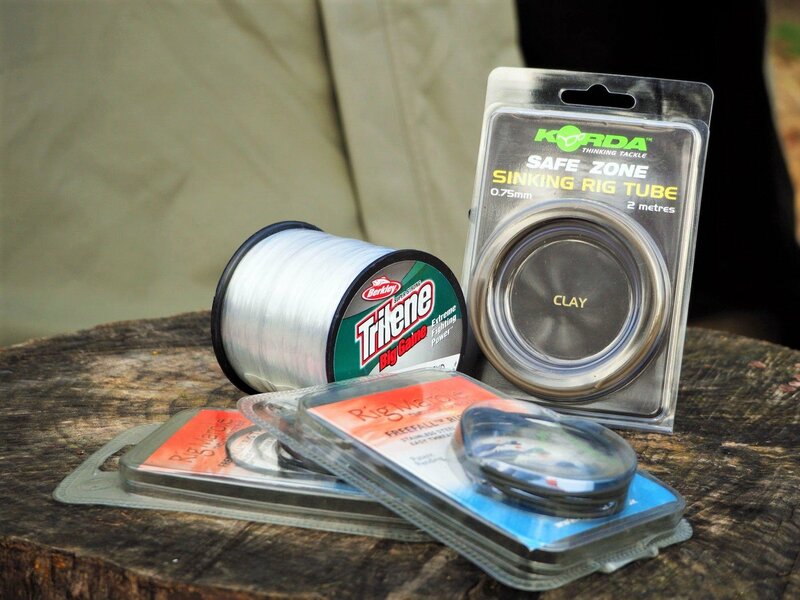 Korda Wide Gape X – These have rarely let me down and if you like to hand sharpen your hooks, they are a great choice. By today’s high standards, I believe that there are better options available. ESP Cryogen Gripper – I’ve been using these for about three years and they are my default choice for the many hundreds of rigs I’ve made for guests. Strong, sharp out the packet and easy to sharpen, these are a good choice. 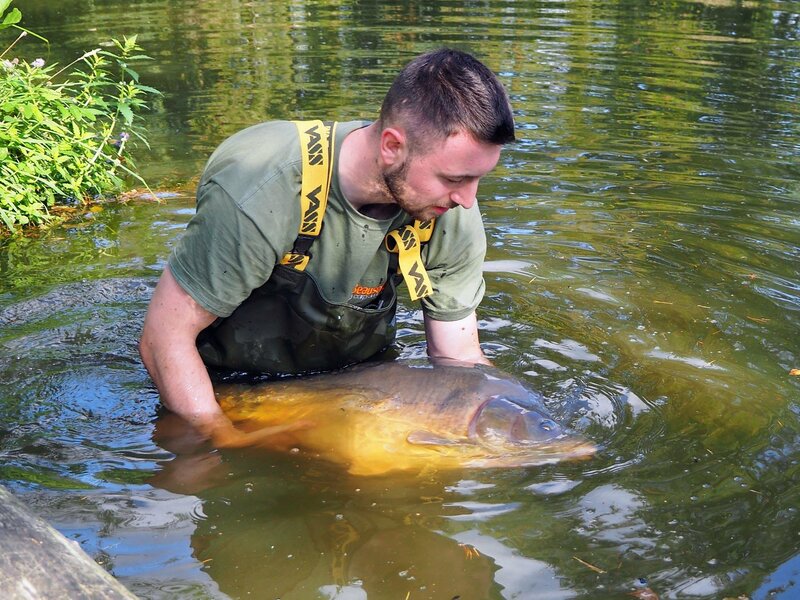 Korda Kamakura – Now these are different gravy. Yes, they are IMO the sharpest out the packet hook money can buy and much better than some other hand sharpened hooks I’ve seen. They are lighter in grade than the X’s and I wouldn’t want to hook a monster moggie on them but if you stick to size 4’s and have a gentle playing style then these are well worth the money. Nash Pinpoint Claws – The first thing to note is that a size 4 looks more like a size 2. They are massive! The size 6 is basically the same size as a Wide Gape 4. The point is very long and thin which is a good thing and they are insanely strong. Even the 6’s hardly budge when pulled very hard. 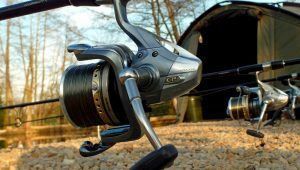 They’ve also got an extra large eye which makes them great for strong, heavy hooklink materials such as our 0.35mm hooklink and the 35lb Nash Skin Link with the coating left on. The multi rig was used for the first time here last year and what a success it was for Max and his family. The reason it worked so well is that it is difficult for the fish to eject. 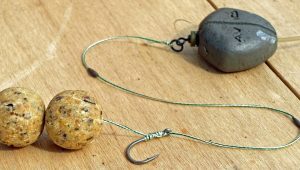 What I really like about it also is that you can fish it in lots of ways and you can easily change the hook without binning the whole rig. 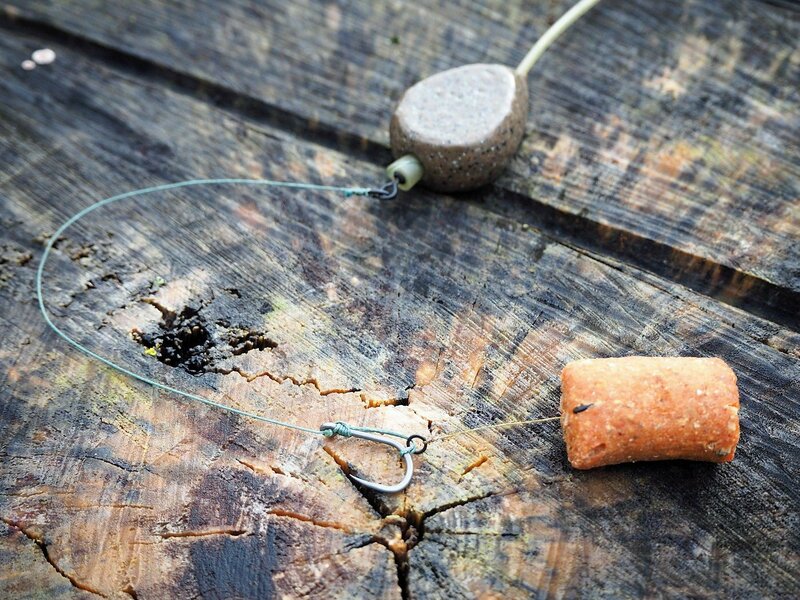 You can fish it with a simple rig ring or the more technical micro ring swivel. 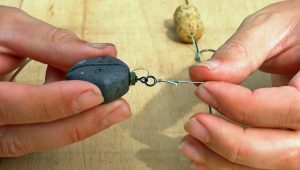 Bottom baits can be singles or doubles, tight to the bend or as far away as you want. It can be tied with either coated or braided materials but not mono. 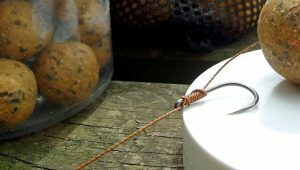 If you’re not familiar with tying this rig and want to change your hooks regularly, you can now pre-order multi rigs on the bait and accessories form. Last year the overall number of cats banked dropped which was a shame. What’s interesting is that other venues experienced the same phenomenon. Obviously we hope for a better result this year but either way, what matters is banking what you hook. With anglers using the right mainline (Berkley Big Game in 25 or 30lbs), abrasion resistant hooklink and testing each knot with our Kettle Bell, the number of cats lost continues to decrease so this is definitely the right recipe. Many good cats were still lost though due to inferior materials and un-tested knots. I now even recommend you go for the Berkley Big Game in 30lbs during June, July, August (peak catfish months) even if you are targeting the carp. We wish all our 2019 customers old and new every success for their session and I’m really looking forward to learning more from their experiences.